The presence of technology is having us crave natural elements. To crave mindful living and create an environment to disconnect and recharge. To step away from the stark light. It is all about creating harmony with sandy browns, muted Greys, hazy Andorra and greens, that harmonize perfectly. Letting one organic shade blend into the next. - Minimalism is taking a less structured look. The palette is no longer empty, but instead rare and rich with possibility. 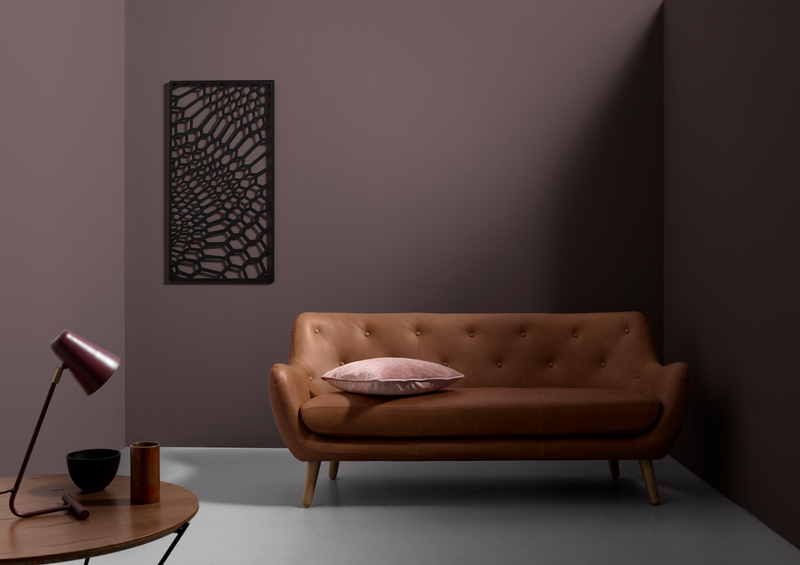 An abundance of warm and earthly colours is replacing the more minimal palette of previous seasons, says Cathrine Rudolph, Creative Director at Sofakompagniet. Homes with nooks and places to retrieve, will become more popular as we react to our increasing technological lives. - With an ever-increasing amount of time spent online in front of a screen during the day, there will be a greater desire to create spaces in our lives, devoided of digital distraction. We will seek to create havens of calm and tranquility we can escape to, even if it is to lazily scroll our Instagram feed in peace. An abundance of warm and more earthly colours is on display in the autumn ’17. Rich materials like leather and wood are core natural elements. A calm and relaxed space is created. Quality aniline leather is added to some of the more classic furniture, creating a bit of earthliness and grounding. Nature in its most beautiful form is being brought in. A classic material is combined with design in a timeless and elegant fashion. The leather collection will be launched on the 25th of august.